Regulatory, Development and Commercial Expertise. Operational Excellence. One Source. PAREXEL Clinical Trial Regulatory Services offers a seamless global footprint. Whether you’re using the latest medical technology or submitting in ascending regions such as Asia, we have the experience to ensure the smoothest journey possible. Our innovative, centralized solutions have revolutionized the collection, management and sharing of data. 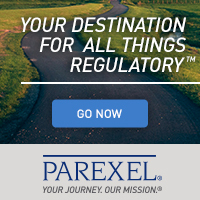 And by coordinating multiple, simultaneous regulatory submissions with PAREXEL Clinical Operations, we help you achieve fast trial start-up and follow-through. We also offer regulatory labeling services, either standalone or integrated into a full-service clinical trial management solution – from single labels to a full library, anywhere you need them. We understand biopharmaceutical and medical device companies often work with multiple partners per study, so our processes and solutions are designed to work in multi-partite relationships. Whether you, PAREXEL or a third-party manages the clinical trial, PAREXEL Clinical Trial Application hubs offer maximum flexibility with fast, cost-effective submission solutions. All steps – from clinical trial submission plan, assembly, and application management through delivery, to the trial master archiving – reside in the hands of one dedicated team. No matter what you need from PAREXEL Clinical Trial Regulatory Services, that’s exactly what you’ll get. PAREXEL Clinical Trial Regulatory Services offers a seamless global footprint. Whether you’re pursuing regulatory submissions in ascending regions such as Asia or in need of regulatory labeling services, we have the experience to ensure the smoothest journey possible.